The edges of our woodlands are dotted with mulberry trees. This understory tree is native to the eastern US. It bears prolific fruits that ripen from white to red to a rich, shiny black. The fruits are loved by a variety of songbirds, opossums, squirrels, and Mary Snoddy. Deer browse the young leaves but tend to ignore the mature ones. The red mulberry (Morus rubra) reaches heights up to 70 feet. It often branches low into a multi-stemmed tree rather than having a single trunk. Red mulberry can be distinguished from its cousin, the white mulberry (Morus alba) by its rough-textured leaves. The white mulberry has shiny leaves and tends to be shorter, reaching 30 to 40 feet. In winter, one can identify the mulberry by its zig-zag stems, similar to redbud (Cercis). The mulberry can be either dioecious (has both male and female blooms on the same tree, so can pollinate itself) or monoecious (needs a separate tree to pollinate). The male blooms are green catkins that hang like pieces of green fringe. The female blooms are white and smaller. Some research indicates that the red can be pollinated by the white. Fruiting is always prolific at New Hope Farm. Ripe fruit looks a lot like blackberries. They are delicious. The stem does not separate from the fruit, so it is impossible to eat them without getting the juice on your fingers. WARNING: It stains fingers, clothing, cars, sidewalks, and anything else it touches. If you wish to harvest the fruit (for jams, jellies, beverages or baking), you can place an old sheet or tarp on the ground under the tree and shake the limbs. Ripe fruit falls readily. Here at New Hope Farm, we define the first day of summer as whenever we see the first lightning bug blink. 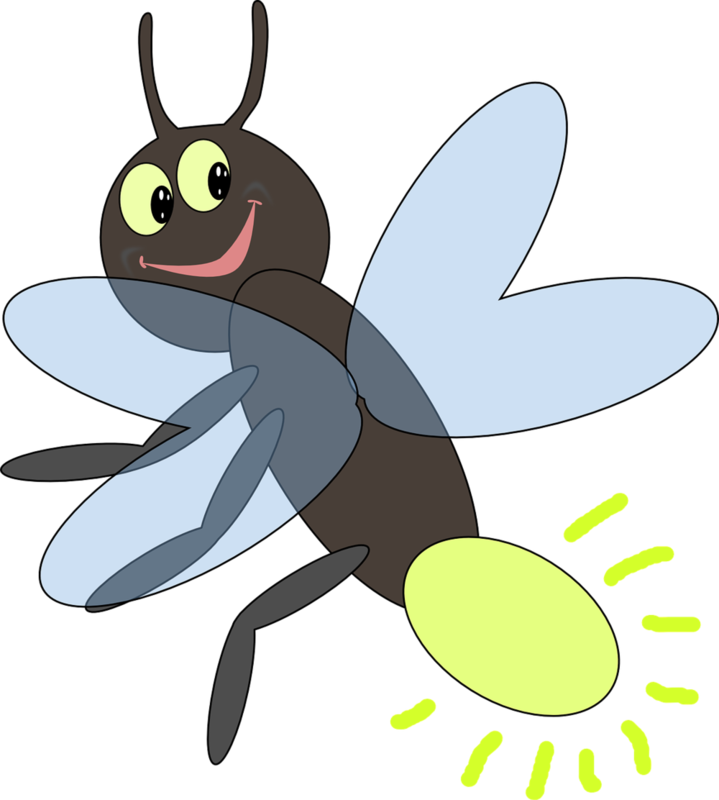 I apologize to my friends who prefer the term “firefly.” I was born and raised in the south; they’ll always be lightnin’ bugs to me. They are beetles, not flies. Like most of my friends, cousins and neighbors, I spent hours of my childhood capturing lightning bugs into a clean mayo jar that had holes punched into its lid for ventilation. Occasionally someone would squash the insect on their finger and pretend it was a diamond. Kids are weird. Now the mayo jar is plastic instead of glass and the lid is plastic instead of metal, but capturing glow bugs is still fun. My mother warned me otherwise, but the glow produces no heat and no electricity. Instead it is a chemical reaction inside their bodies. This reaction is efficient. Almost 100% of the energy produced is released as light. Compare that to your incandescent light bulb, where 10% of energy is converted to light and the other 90% is lost as heat. Why do they blink? It’s a mating game. The males have a blink pattern to proclaim their suitability as a partner. Sort of like an insect version of Axe, I guess. Females evaluate their suitors' blinks to decide on mating partners, and respond with their own come-hither blinks. Baby lightning bug larvae and even eggs glow underground. Yellow is the only color I’ve ever seen, but my research says that some varieties produce green, orange or pale red light. They protect themselves from predators by producing a steroid in their blood that is foul-tasting. When threatened, they squeeze out a drop of blood. Predators soon learn to avoid anything that blinks. Sensitive noses can pick up the smell of their internal toxins. The Mary Snoddy garden, located in the deep South, is home to plenty of lightning bugs. I understand that they are rare in some parts of the country, and non-existent in California. What a shame. Our numbers are declining due to widespread use of insecticides and the encroachment of development onto formerly wild areas. A report from the Smithsonian says when fireflies’ home field is paved over, they do not relocate. They just disappear. Lightning bugs like damp areas, plenty of shrubs and grass for hiding, and they love pollen and nectar from flowers. They also enjoy snacking on worms, snails and slugs. If you gather a collection of blinkers in that old mayo jar, be sure to release them into their native habitat later that same evening. Bon appetite, guys. You are welcome to my slugs.